We will continue to look at what a wife does that blasphemes God’s word. There were 8 items that wives were told to do or else they would blaspheme Gods Word. We will be looking at the high importance of a wife being chaste. The word “chaste” comes from the Greek word pronounced hag-nos’ which means PROPERLY, CLEAN, INNOCENT, MODEST, PERFECT, CLEAN AND PURE. Jesus paid a big price on the cross, and that gives him a right to choose what kind of behavior he expects from His loved ones who will spend eternity with him. These behavior patterns are very BECOMING for a husband to see coming from his wife also. This verse is saying that if your husband is unsaved, you don’t even have to say a word. Just by your chaste conversation, you will win him over. This is why it is so IMPORTANT for us to be chaste in our behavior and conversation. In this verse Paul was jealous over his own converts so he could present them to Christ just like a chaste virgin is presented to her husband. We see Apostle Paul using the same word chaste to describe the virgin that is PRESENTED to her husband on their wedding day. Paul is looking for his converts to live a chaste life cause he wants to be proud of them. Sad to say, we don’t get to hear a lot of talk about living a HOLY life. Instead of wives trying to dress modestly, a few years ago we saw a lot of them at age 40 dressing like Britney Spears. 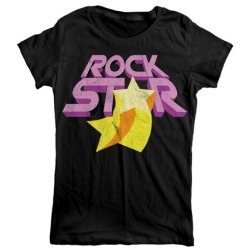 Christian woman should not have all the fad clothes that say “Rock Star” on their Tshirts just to get the attention that they want. You don’t have to keep up with what all the movie stars are wearing and doing. l love to see the young Christian girls dressed in style without showing their private parts. CASE AND POINT: About 30 years ago I went to a church with another pastors wife. The pastors wife was loud, wild and boisterous. All she talked about was herself and what she was wearing . Everyone knew she was in the room cause she was so entertaining. When the band started playing and the service started she told me and another pastors wife to wait. About ten minutes later she said, “Okay let’s go. I go first and you two walk behind me.” She was a big woman and swung her hips as she came down the aisle. She smiled and starred at everyone as she walked down the aisle making sure that they all were starring at her. I couldn’t believe my eyes as a new convert. There was nothing “chaste” about her. Within 5 years, I heard she was divorced from the pastor. I remember thinking that their marriage was such a bad testimony, but so was her behavior. Don’t be written on the minds of people around you for the wrong thing. When you live to PLEASE God, you will please the people around you. God is searching the world for “chaste” women to represent him! !